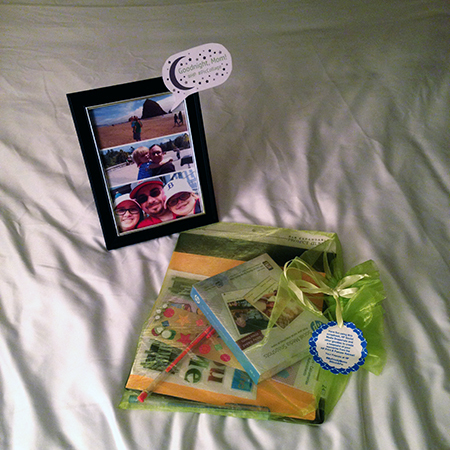 Home » All Things Disney » HP Print & Pamper Retreat Trip Report – Day 1! 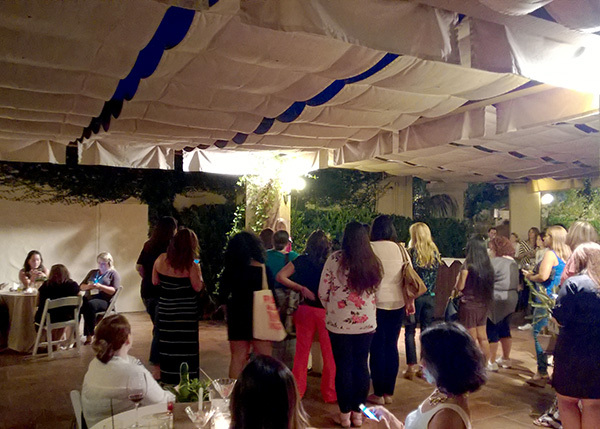 HP Print & Pamper Retreat Trip Report – Day 1! 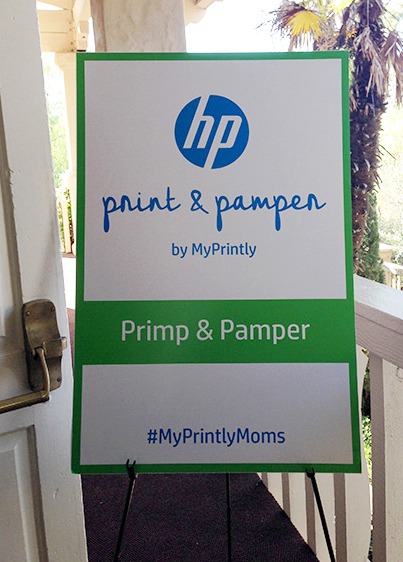 I’m back from my adventures in San Diego with the HP Print & Pamper Retreat by MyPrintly! The entire 4 days was a blast, and I can’t wait to tell you all the details! I had been to the MyPrintly event prior to Disney Social Media Moms On the Road in Portland in June of this year. You can read all about that adventure in this previous post. 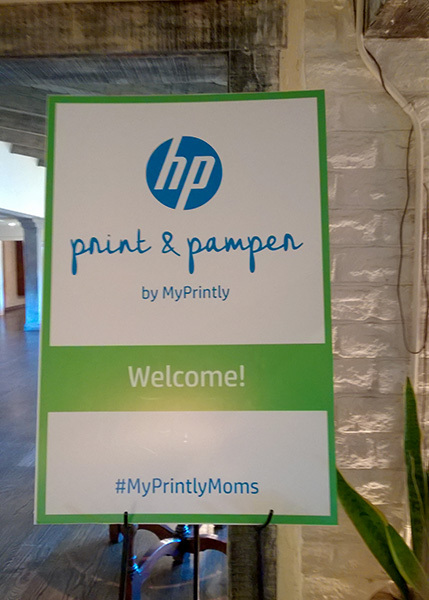 So, when I received an invitation to the HP Print & Pamper Retreat by MyPrintly in August, I was ecstatic! This mom sure could have used some pampering! The event promised to be a relaxing social media networking event full of surprises! 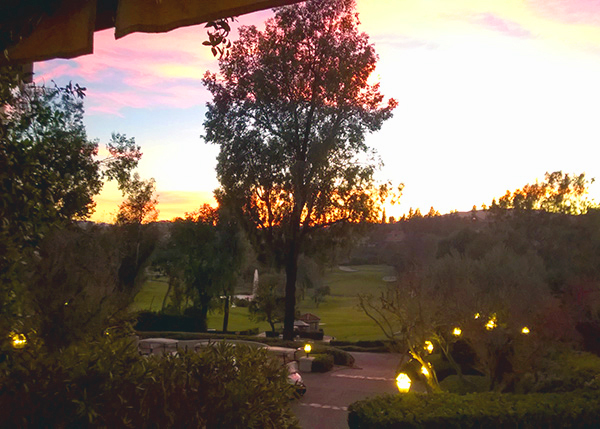 The conference fee was very reasonable, included most meals, a brand new printer, and two nights at Rancho Bernardo Inn, which was let me tell you was amazing! There was also a field trip to… wait for it… DISNEYLAND!!! In the words of Macklemore; “That’s a Helluva Deal!” There may be some foreshadowing in that last statement too.. If you haven’t heard of MyPrintly.com, it’s a site full of crafts, printables and inspiration. Definitely check it out! How did I make this trip as affordable as possible? I treat my SPG American Express like a debit card. I put all of my everyday expenses on it like gas, groceries, bills, and more. Then I pay off the amount in total each and every month. The benefits of having an SPG American Express is those points can be transferred on a 1:1 basis into various airlines programs or Starwood hotels. I search hotel, airline and cash-back malls to find the best rebate or point accrual possible whenever I purchase something online. Sometimes the best deal is Hilton HHonors points, other times it’s cash-back from Ebates. Purchasing things like flowers are particularly lucrative in collecting points. When I book a hotel, I use RocketMiles or PointsHound. Read all about those options, including how to get points at Disney in this previous post. Sign up for promotional emails from your favorite airline or hotel chain. Occasionally you can earn points by entering contests, or even something as simple as changing your password. I recently earned 1,000 hotel points by downloading an app and enabling keyless entry! 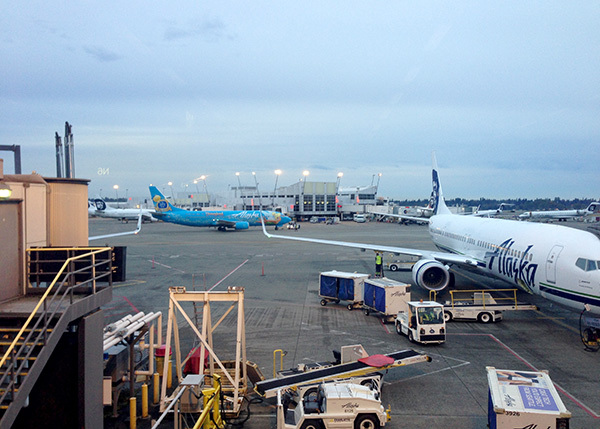 I had an 8:45 am flight from Seattle to San Diego on Alaska Airlines. Now, I don’t live terribly far from the airport. However, rush hour in Seattle can be pure and absolute gridlock. Beyond that, getting through TSA security in a timely manor has been hit-or-miss. So, I played it safe and left the house before dawn at 6 am. As it turned out the traffic and TSA gods were looking down on me that morning. 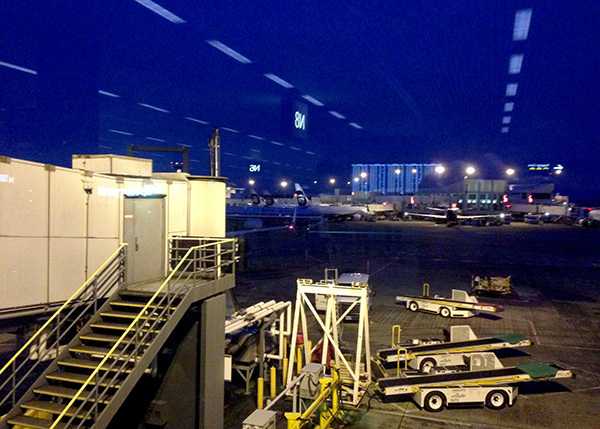 At 6:45 am I was in my seat at the gate! Holy cow! That gave me plenty of time to catch up on social media. Tinker Bell! That’s a sign, right? Pretty soon it was time to board. On this flight I was joined by Kerri from I am the Maven, Kim from Stuffed Suitcase and Alison from Horseshoes-n-Handgranades, all are lovely ladies! I’ve briefly met Kerri at past events, and Alison was recently at the MyPrintly event and Disney Social Media Moms On the Road in Portland. I really do love Alaska Airlines. 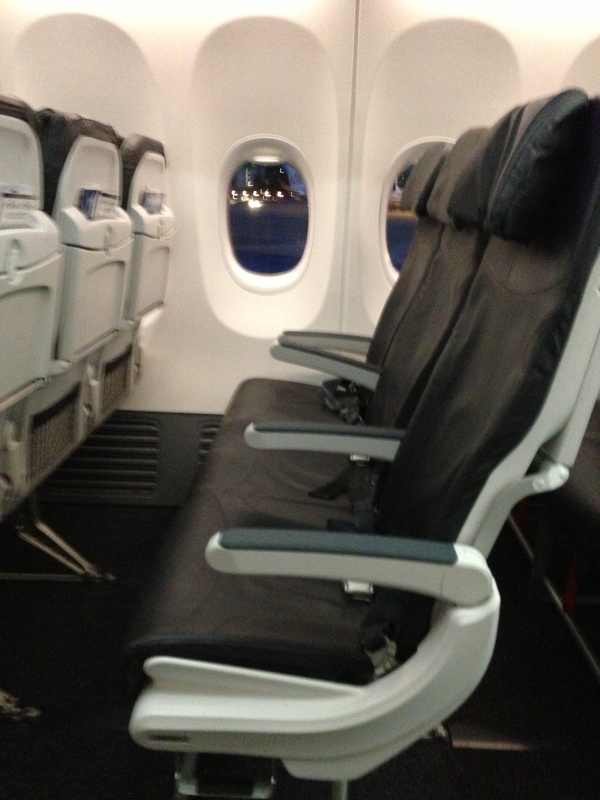 They have slim seats and raised tray tables which makes you feel like there’s so much more room than there actually is. The flight was pleasant and uneventful. 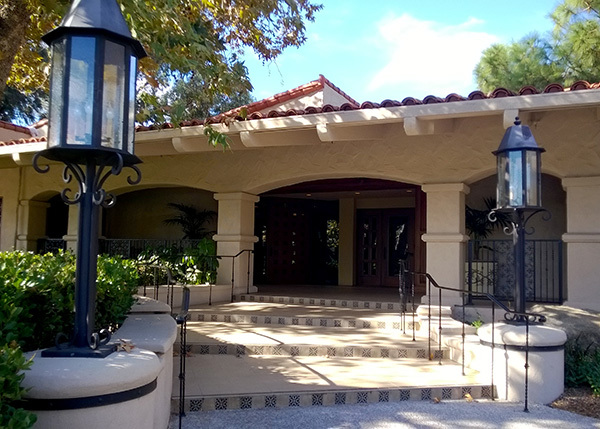 When we arrived in San Diego, Kim had arranged for 8 of us to share a SuperShuttle to Rancho Bernardo Inn. The SuperShuttle was a lot of fun, and took around 40 minutes to arrive at Rancho Bernardo Inn. It was really great meeting new faces like Maureen from Wisconsin Mommy, Jen from Jersey Family Fun, Kara from Kara in the Kitchen and Angie from Country Cottage Chic. The resort is amazing. Stay tuned for the next post dedicated to photos at the Inn. We got all checked in to the conference and hotel rooms. Check-in wasn’t until 4 pm, so our rooms weren’t quite prepared. Jen, Maureen and I had lunch at Cafe Granada, and had some great salad and conversation. After about an hour I got a text that my room was ready. Maureen’s room was ready too, so we went on a little adventure to find them. 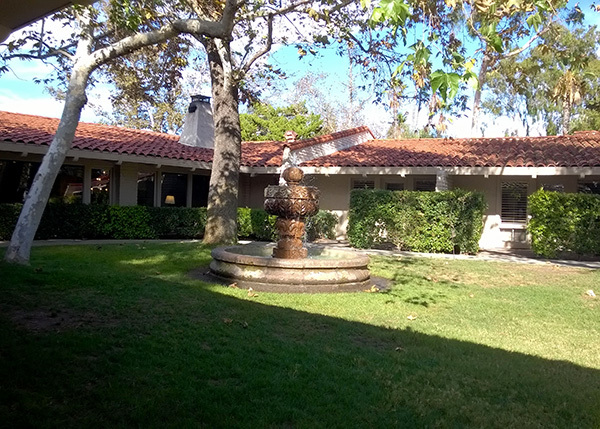 Rancho Bernardo Inn has a unique layout, and I surmise that it was once a small Inn that has grown over time. 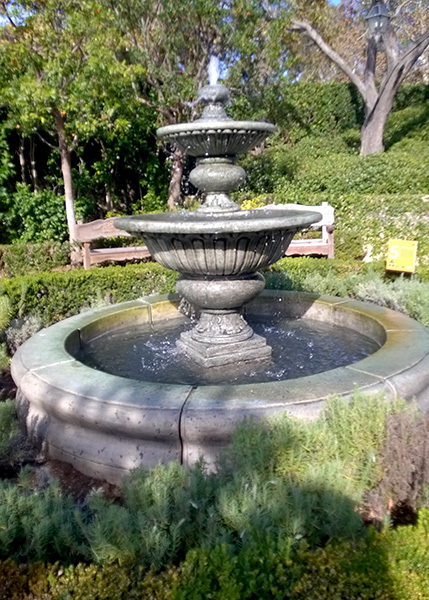 There are lots of different buildings, gardens and more. 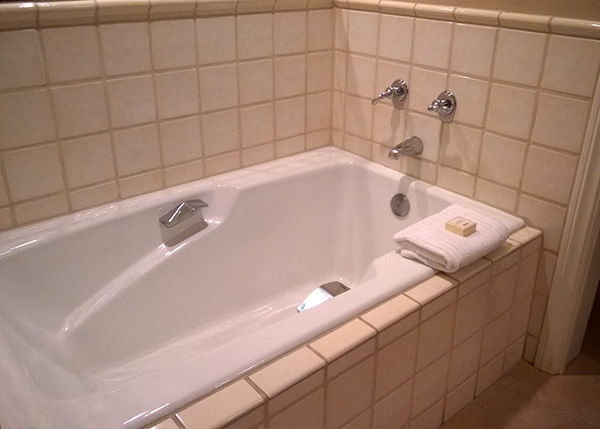 I spent the next hour relaxing in the tub! Prior to the event, all the attendees had a choice of hair, makeup, or nails for “primp” time. At 4:30 pm I had an appointment to have my makeup done. I’m horrible at makeup, and typically wear little to none, so I thought this would be a good thing. I met Debra from A Frugal Friend along the way, she was super sweet! I also met Carly from Ever Clever Mom and Magical Day Weddings. I remember following Carly’s wedding on the Disboards back in the day, and when she started blogging, she actually featured the floral from my Disney Cruise Line wedding as one of the best of 2009! So cool! In the end, the makeup was a bit more than I’ve probably ever worn, but I don’t often have the chance for my makeup to be done professionally, so that is a good thing! At 6 pm we had a cocktail hour with executives from HP, BSM Media, and all the attendees. Maria Bailey from BSM Media spoke quickly as did Noah Lomax and Lori Lorenz from HP about what we could expect from the conference. If you noticed that everyone is on their phone while someone is speaking, this is true, and at blogger events it is only the upmost compliment, as it means people are furiously tweeting, posting, and Instagraming about what the speaker has to say. This might be the one place where it isn’t rude at all! Here I met up with Christy from All Things Target and Thrifty and Thriving. I’ve met Christy before, and she is such a sweetheart! Christy is also a Seattle-area blogger, and I love her thrifty finds! After cocktail hour and hors d’oeuvres, we were led into a ballroom for a carnival! Now, there are parts of this trip report where I can’t go into detail. At registration I had to sign a non-discloure agreement, because HP was letting us in on new ideas and technology not released to the public, which was very cool. It’s against everything in my blogger being to put the phone down, but it was for good reason! At the carnival, HP had different stations setup each with different ideas in the pipeline. We gave our feedback about what we liked and didn’t like about each one. After fun, feedback, cocktails, and ice cream it was time to wrap up day 1! I was pretty exhausted, and the bed in my room was looking awfully comfortable. As I was putting my feet up, I noticed this! It was photos of my family from PicCollage and a super-duper scrapbooking set, along with HP Social Media Snapshots paper! How cool is that? Goodnight, and we’ll see you in the next post! 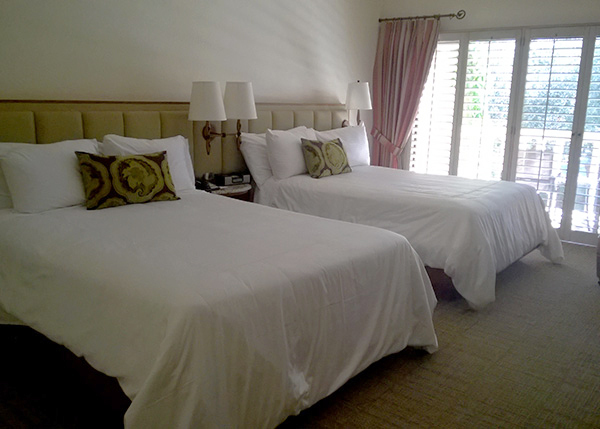 Up Next: Rancho Bernardo Inn in Pictures, and Day 2! Disclaimer: I have paid a small conference fee to attend the HP Print & Pamper Retreat, however there will be lots of special events, swag, and much more. I’m under no obligation to post, and all opinions are very much my own.